Illustrating the integration of GooglePlus, gMail, Google search, and Google Authorship (which links your name to your content) this image demonstrates the 11 ways GooglePlus promotes every post you share there. 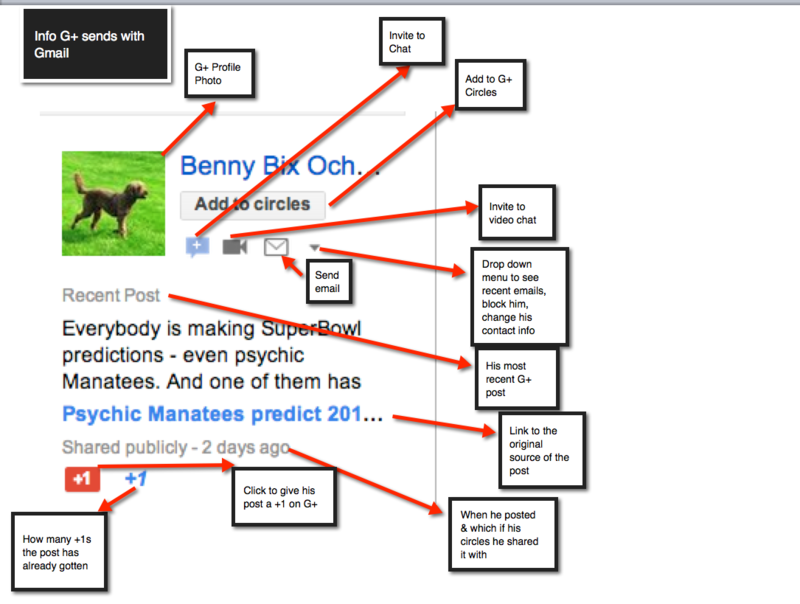 This example accompanied an email from Google, suggesting that I follow Benny Bix Ochman Labradoodle, whose profile I created as a coaching tool. This small box that appeared in the right column of my email, provides a wealth of information. 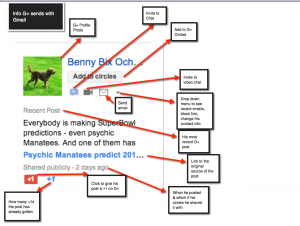 So clearly, your Google+ content plays a huge role in your online presence. Make sure you’re making every post count. Ready to learn how to maximize GooglePlus? Contact me at MaximumPlus Workshops for GooglePlus Success to set up one-to-one or group coaching.